We were a family of five, travelling for Pune Darshan. The evening before the Pune Darshan, I got a call from Geo Direct Bus Service, that since their bus was facing some issue, we would be travelling in the Pune Darshan Mini Bus with a few other tourists. We were not sure what to do, as we wanted a private darshan experience. After an hour’s discussion, we decided to book a personal car, and canceled our booking with Geo Direct Bus Service. 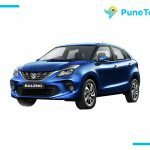 The whole reason behind hiring a car was that we didn’t want another disappointment for our Pune Darshan Tour. 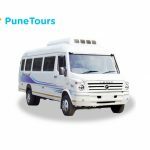 We searched for “Best Pune darshan Cab Service” and stumbled upon PuneTours. They suggested us to book an Innova car for Pune Darshan Tour Package. After a stressful evening, we were finally feeling better as our Pune Darshan Tour plan was intact. All thanks to PuneTours, for their hassle-free booking experience. By booking a cab we didn’t even have to worry about reaching the pickup point in the morning, as the cab driver was going to pick us up directly from our Hotel. We asked to start our journey a little early in the morning, at 8 am, because, as it was our last day in Pune, and we had a train to catch in the evening. I was totally impressed that morning, as our driver arrived 15 minutes before the decided time. Booking an Innova was a good option for us because we were going to check out from the hotel in the morning. Our major concern was about carrying our luggage, but the Innova had a lot of space to offer, for passengers and even for luggage. The best part of the tour was our driver (our guide of the Tour), indeed a smart and punctual person. He was the Person who managed our entire sightseeing points, by allocating a reasonable time to each point.H e also explained the HISTORIC importance of places very beautifully. He was kind enough to show us different places along the way, like Film and Television Institute of India (FTII), the happening place around Deccan Gymkhana (like fashion street of Mumbai), the first multiplex of Pune, posh areas of Pune, such as Koregaon Park, Trump Towers etc. He managed the overall tour in such a way that we did not miss any point. The halt for lunch was in a very nice and hygienic pure veg restaurant. Overall, we had a good experience and enjoyed a lot. I already requested in the start of the journey as we have Train reservation for returning to Mumbai so please ensure that we get that train and do not get stuck up at traffic in the evening. Our last point was Aga Khan Palace, which we were done visiting at 5: 20 pm. The driver dropped us at the Pune railway station at 5: 45 pm. We easily boarded our Train for Mumbai. The Pune Darshan Tour left historical, beautiful, and mesmerizing memories of the wonderful city in our minds. 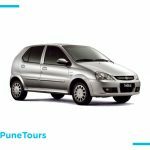 Why Hire Cab for local sightseeing in Pune with PuneTours Travels?